Comic book fans around the world have been truly spoilt in the last few years, with so many Marvel and DC heroes hitting the big screen. We’ve been saturated in superhero origin stories, building up to until-now unheard-of cinematic universes on a massive scale. For many superheroes, their origin stories carry a similar trend. Yes, there’s the compulsory tragic element for most of them, but a good number of them have also tangled with some form of radiation. Spawning spider-powers, hulking strength, or incredible intelligence, we have to stop and wonder – just how realistic is this reaction? CBRN equipment experts Kromek, explore further. As the subject of secret experiments, Steve Rogers achieved the peak physical condition for a human being. The conclusion of these tests saw Rogers administered with the Super-Soldier serum before being subjected to a series of vita-rays – a unique combination of wavelengths of radiation designed to both accelerate and stabilise the effects of the serum on the body. While we don’t know what was in that Super-Soldier serum, we do know what would happen if your body was subjected to wavelengths of radiation. The unit sievert measures radiation, with this quantifying the amount of radiation that is absorbed by human tissues. One sievert equals 1,000 millisieverts (mSv), while one mSv equals 1,000 microsieverts. We are exposed to between two and three mSv of natural radiation per year. Have a CT scan and the organ studied typically receives a radiation dose of 15 mSv if you’re an adult and 30 mSv if the individual is a newborn baby, while a standard chest X-ray often involves exposure to around 0.02 mSv and a dental X-ray usually 0.01 mSv. Being exposed to 100 mSv per year is the lowest level in where there’s an evident increase in the risk of cancer. Meanwhile, cumulative exposure to one sievert is said to cause a fatal cancer many years later in five out of every 100 individuals exposed to the radiation. Become exposed to large doses of radiation or acute radiation though and your central nervous system, as well as your red and white blood cells, will be destroyed and your immune system compromised. Steve Rogers in real life would have likely either died, or suffered a total collapse of his immune system. Bruce Banner proved to be heroic even without powers when he saved a man who have driven into a gamma radiation test facility. 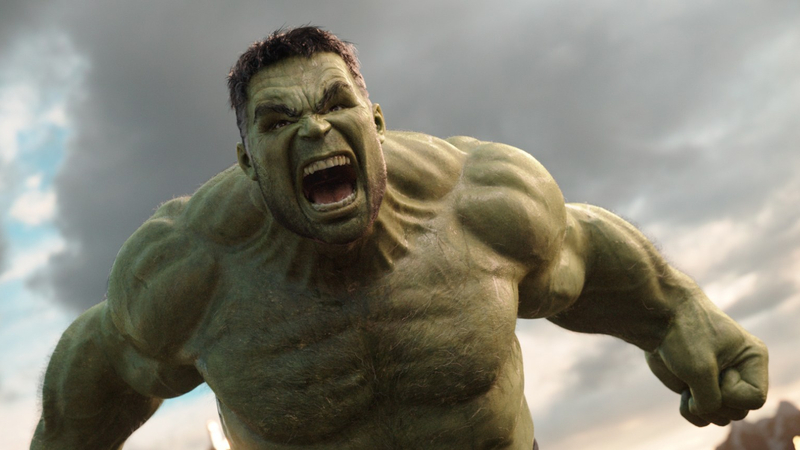 However, his efforts saw him take a direct blast from an experimental gamma bomb – a turning point in Banner’s life as it turned him into The Hulk and saw him grow huge and green, (originally grey), whenever he became angry. In reality, a gamma bomb would probably incinerate you on the spot. There would be little time for you to get angry – or feel any other emotion, for that matter. This is because gamma rays represent the highest energy form of light – they lie beyond violet on the electromagnetic spectrum with shorter wavelengths than ultraviolet rays and X-rays. One gamma ray offers at least 10,000 times more energy than a visible light ray. Gamma rays also knock electrons about in rapid fashion, with the charge particles then disrupting any chemical bond that they come into contact with. Gamma rays aren’t all bad though; in the right hands, they can be very useful. Take the gamma knife for example, which is a medical device which aims gamma rays at a patient’s brain in order to kill tumours. During a science facility tour, school nerd Peter Parker was bitten by a radioactive spider. Before long, the nerdy teenager was swinging across New York City and saving civilians from evil villains under the guise of Spider-Man. Would being bitten by such a spider really give you powers? Technology publication Gizmodo has shed light on this by imagining a scenario where a person is bitten by a spider whose phosphates in its DNA backbone had been replaced with a radioactive isotope of phosphorus, Phosphorus-32. As a quick side note, be aware that while fans have never been told exactly what the spider that bit Peter Parker was irradiated with, recent origin stories of Spider-Man have at least mentioned DNA hybridisation. Back to radioactive spiders for the moment. Due to the half-life of this radioactive isotope of phosphorus being around 14 days, Phosphorus-32 would only stay in the human body for a short amount of time and actually likely be excreted eventually through the urine. Gizmodo also points out that Phosphorus-32 is a beta emitter, and so would be blocked by a thin sheet plastic to prevent too much harm being caused to those who stood nearby the person who had been bitten by the radioactive spider. No wall-crawling, we’re afraid. Just an itchy, sore bite. The Kryptonian wonder, Superman gained his huge array of powers by absorbing radiation from the sun. In the real world though, ultraviolet rays in sunlight can be harmful to the skin when the body is exposed to too much of it. Subject the skin to a large amount of sunlight and you may witness mild reddening in the short turn and suffer from sunburn, whereby the skin will be blistered and eventually will peel. Long-term sun exposure, however, generally leads to skin ageing and wrinkles. On a much more serious note, the risk that you’ll develop skin cancer will increase too. Superman may have some amazing abilities then, but you’d be much smarter applying sunscreen onto exposed skin instead of letting the sun’s rays do their damage on your body. Everyone’s dreamt of having superpowers. However, our human bodies seem incapable of going through the transformation that many of our comic book heroes did when they came into possession of their abilities.